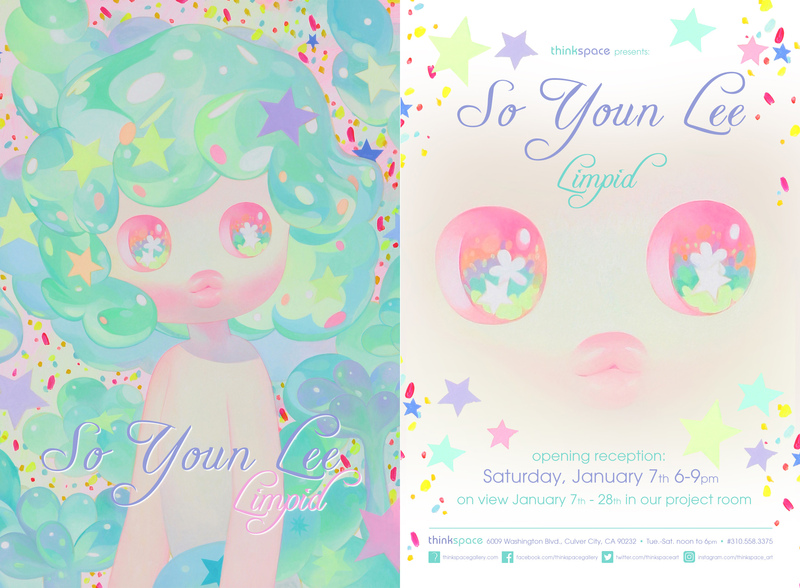 Concurrently on view in the Thinkspace project room is Limpid, featuring new works by San Francisco-based artist So Youn Lee. 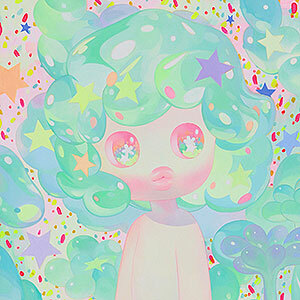 Her works depict a pastel-colored world of innocence and whimsy and follow the surreal adventures of a serial character she’s named Mango and her entourage of fanciful, candy-tinted friends. Inspired by 90’s illustration and short animation films, Lee creates a crystalline universe of translucent textures and glassy surfaces. Her densely textured and stylized works are executed in a harmonious blend of oil and acrylics, varying from canvas to panels. In this new body of work, Lee chases the visualization of nostalgia, creating pieces that invoke a sensory-based recall of childhood and its immersive experiential innocence. 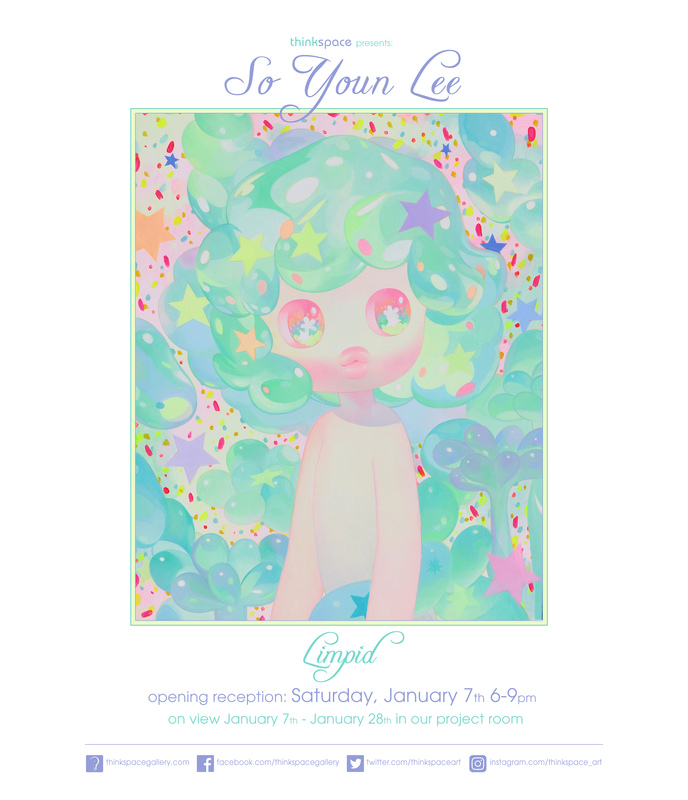 Known for her representations of an ambiguous, positivist, and captivating inner world, Lee creates delicately outlined figures pulled from effervescent fantasy. Light and playful, her world is a genderless, intergalactic, pristine, and suspended in a patterned space of bubbles, soft gelatin- like contours, and brilliant sparkling light.